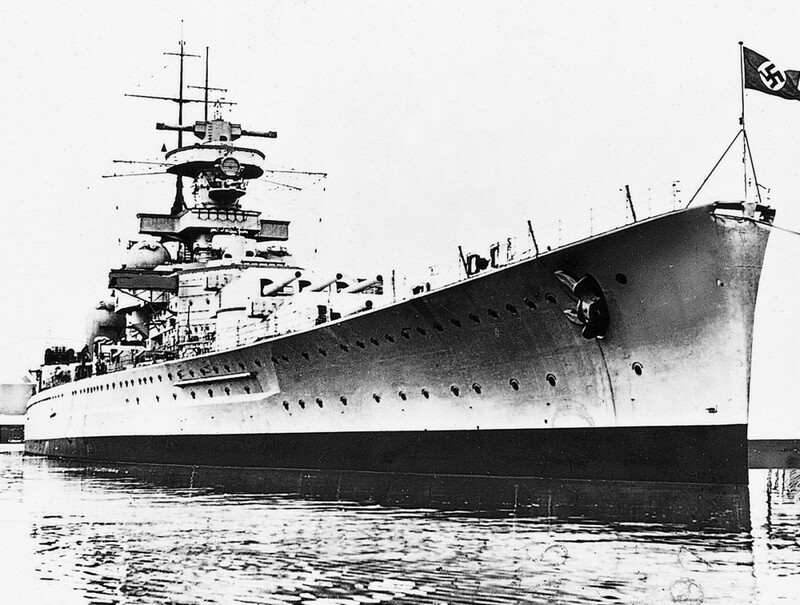 Laid down at Wilhelmshaven in April 1934 and launched in October 1936, the Scharnhorst and her sister ship Gneisenau were modelled on the uncompleted “Mackensen” class battlecruisers of World War I. Up until 1942 the pair operated as a single battle group, but after the “Channel Dash” of February that year – in which Scharnhorst was mined twice while en route from Brest to Kiel – she operated alone. In January 1943, after repair, Scharnhorst was sent to Norway with the heavy cruiser Prinz Eugen, the two ships operating from Altenfjord together with the battleship Tirpitz and the heavy cruiser Lützow. In September 1943 Scharnhorst and Tirpitz bombarded shore installations on Spitzbergen, and on 25 December Scharnhorst sailed to intercept an Allied convoy (JW55B) heading from Scotland to Kola, in north Russia. However, the result was that she herself became the prey, for on the following day the German battlecruiser was intercepted off Norway’s North Cape by a force of British cruisers and destroyers, which inflicted some damage on her after a brief action. Gunfire from the battleship Duke of York and torpedoes from the destroyers then reduced her to a blazing wreck. Even so, she fought on with her surviving armament until she finally blew up and sank that evening.